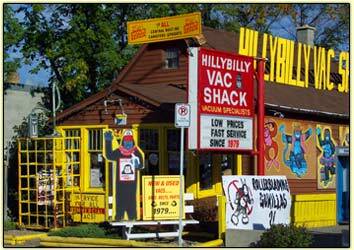 Hillybilly Vac Shack in Regina provides high quality and affordable portable and residential vacuum cleaners. From vacuuming your bedroom to getting crumbs out of the couch cushions, we have what you need to remove pesky dirt and dust, keeping your home clean and free of allergens. 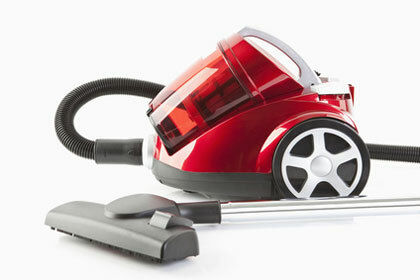 Canister vacuums have a long wand attached to a canister with a flexible hose. A motor creates the suction while a receptacle collects dusts. Easier to use than an upright vacuum, you only have to maneuver the hose, not the whole unit. It works well on tile, wood floors, carpeting, drapery, and upholstery. Upright vacuum cleaners are one of the best tools for heavily carpeted areas. The intake and exhaust ports provide a lot of suction power and can clean in tight corners and on stairs. Handheld vacuums are compact in size and make it easy to clean up small spills and hard to reach areas such as car interiors. They have rotating brushes and some models are specifically designed to remove pet hair from furniture. Automatic vacuum cleaners from Hillybilly Vac Shack are lightweight devices designed to clean the floor with minimal assistance. Owners can program instructions into the device, such as the number of circuits to go around the room and automatic shut off features. We also have stick or electric broom or stick vacuums, which have a motor located in the handle or along the wand which connects to the cleaning heads. These are best suited for homes with small areas of carpeting. Contact us or stop in to see all the options we have for vacuuming in your home.